You may have heard of Juvéderm, but there are different types of fillers that fall under this brand name. For about seven years when someone referred to this filler, it was for treatment of smile lines extending from the sides of the nose to the corners of the mouth. In October 2013, Voluma XC joined the Juvéderm family. This marked the first time the FDA approved an injectable to correct sunken areas of the mid-face for patients aged 21 and older. Voluma gets its name from the additional volume that is added to the cheeks. Like other products in the brand, this filler is made from hyaluronic acid. 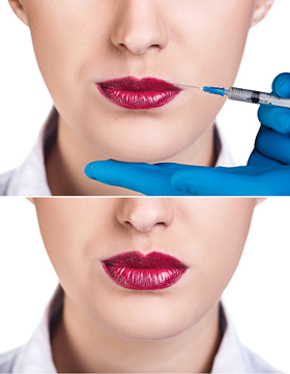 Of the many substances that are used to make injectable fillers, HA is often cited as a preferred treatment option. Since the body produces moisturizing HA on its own in the eyes and joints, it is safer and boasts fewer side effects than most other fillers on the market, all with varying degrees of effectiveness and risks. In a clinical study, the company behind Voluma XC, Allergan, reported that 86 percent of subjects had fuller cheeks within six months of treatment. In the majority of those studied, these effects lasted for two years. Most of those studied also had moderate tenderness, swelling, and lumps and bumps at the site of the injection for about two to four weeks post-treatment. Other dermal fillers, such as those from sources or collagen derived from cows, have been associated with higher risks of bruising, infection, and other adverse reactions. Some of these fillers have caused disfigurement when used improperly, which underscores the need to have a medically trained specialist administer your injectable. That doctor should have experience in the particular filler being injected. Dr. Blose and his team have significant experience with both Juvéderm and other products. As the best dermatologist in Montebello for Voluma, he can determine if this, or another filler or treatment, is best for your goals and needs. If you have a history of allergies and allergic reactions, for instance, or if you are taking other treatments that suppress immune response or heighten the risk of prolonged bleeding, Dr. Blose may recommend non-injectable alternatives to restore youthful volume.